Thank you so much for your comments and emails. Glogirly's heart soars every time she reads them. That many of you have been on the edge of your seat in anticipation of the next chapter means the world to her. And I'M sure happy all this typing is not in vain! My paws, boy are they are tired. I think a spa day may be in order. They put the luggage in the trunk and hopped in the car. Dorothy had brought her best friend, Thelma, along for the ride. She confessed that she needed her friend not only for navigational assistance, but for moral support. Glogirly just wanted to sit and stare at Dorothy as she was driving. And Dorothy probably wanted to do the same. From San Francisco they headed south to Dorothy's home in Sunnyvale. Thelma helped to break the ice, asking Glogirly questions about how she had managed to find everyone. Of course Dorothy had already shared the letters with Thelma so she knew at least some of the story and she was fascinated. Glogirly found herself grateful for having a story to tell. Whether it was the condensed version of her search or the dramatic full-length story, people were instantly captivated. It was easy to tell that Dorothy and Thelma were the best of friends. They lived just a few blocks from each other, both led very active and independent lives and enjoyed everything from baseball to opera. They each had season tickets to the San Jose Opera and every chance they got, they'd take in a Giants game together. Glogirly was impressed by their passion for life and their friendship. They were fun-seekers. Although she barely knew Dorothy yet, she was happy to know that she had a friend like Thelma in her life. Dorothy's family lived about 3 hours away in a couple of directions, but she was far from alone. Glogirly could tell that the two of them had spent quite a bit of time talking about her, the search, the letters, the visit...everything. She giggled to herself, realizing that having Thelma along for the airport ride was the equivalent of going on a date and having your best friend call your cell phone about 30 minutes into it. By the time Dorothy reached Thelma's house to drop her off everyone was comfortable and laughing. Just like old friends. When Glogirly had first spoken with Dorothy on the phone, she imagined her being very proper. On the phone, was articulate, gracious and polite. In person, all of this was very true. What Glogirly hadn't detected was how down to earth, casual and sincere Dorothy was. There was something about her, it was hard to pinpoint, but something that just felt like home. Dorothy reminded her so much of her own mom and dad. She was immediately one of the family. Dorothy had taken the liberty of picking up a few things to cook for dinner. She thought that it would be much more comfortable and easier to talk if they made their evening a quiet on at home. It was perfect. They hung out in the kitchen, cooking, chopping and talking. Glogirly talked about her Gloman and her stepson Gabe. Dorothy walked her through the many family photos on the refrigerator. When they sat down to eat together, Dorothy talked about Alice. She loved her sister so much. It was hard for her to talk about her without getting emotional. It was such a hard time. That's how Dorothy described 1963, the year her sister Alice found herself facing the most difficult decision of her life. Dorothy talked about how much Alice loved children. For many years, it's what she did for work. Alice was there to help with Dorothy's sons. Dorothy described her as a loving aunt. But tears welled up in her eyes though when Dorothy talked about how hard it was for Alice to give up her baby. Dorothy and Alice were very close growing up. Only three years apart, they went to school together, played together, they grew up best friends. Dorothy & Alice, sisters and friends. 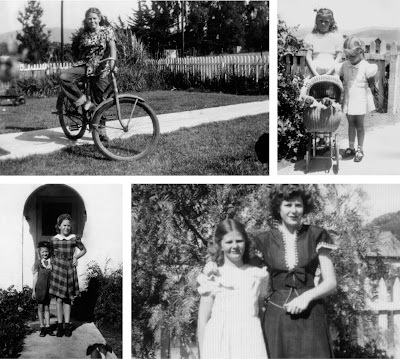 TOP LEFT: Young Dorothy and Alice on their front steps. TOP RIGHT: Just hanging out. BOTTOM LEFT: Dorothy and Alice in costume for the community fiesta. BOTTOM RIGHT: Alice, Dorothy and Blonde the dog. Dorothy and Alice, growing up together. TOP LEFT: Dorothy out for a ride. 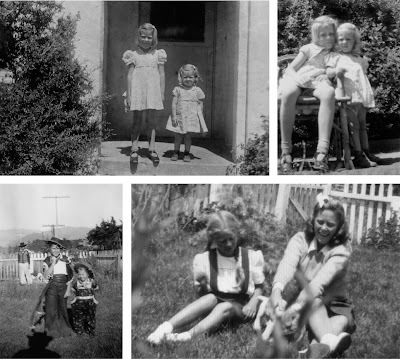 TOP RIGHT: Dorothy and Alice with a basket of puppies. BOTTOM RIGHT: Ready for church. TOP LEFT: Wedding day. 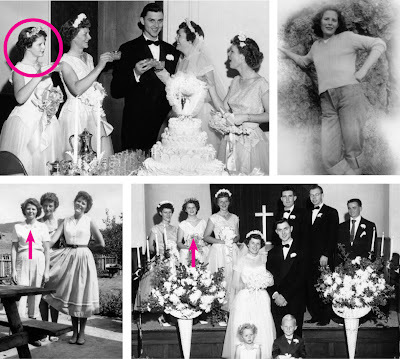 Alice (circled,) Jeanette, Larry, Dorothy and friend. TOP RIGHT: Dorothy posing on a hike. BOTTOM LEFT: Dorothy's engaged! Alice (with arrow,) Jeanette, Dorothy. Alice was scared. Not knowing where to turn, Dorothy called a friend working in social services for advice. Adoption seemed the only answer. Her friend put her in touch with Children's Home Society. They went to the Santa Barbara office. The wheels were in motion. Glogirly thought back to the background report. She imagined Alice telling a caseworker about her family, her father, all those details that appeared in the report. Those details, many of them were hard to read, but they had led Glogirly to this point in time and she was grateful for them. Children's Home Society arranged for Alice's prenatal care and a place to stay and work while during the pregnancy. In exchange for her medical care, room and board, Alice lived with a family as an Au Pair. She cared for their small children and housekeeping while the mother was also pregnant with another child. On the surface this sounded to Glogirly like a nice opportunity for Alice. It allowed her to provide for herself, be close to good medical care and kept her away from the judgmental eyes back home. But the more she thought about it, Glogirly realized how hard it must have been. To be caring for someone else's children, watching another mother prepare for a new baby, at the same time be carrying her own and knowing her fate. It must have broken her heart. This also meant that Alice was away from her sister, Dorothy. He only true confidant. Dorothy and her family lived about 90 miles away. She visited when she could, but Alice must have felt so alone. Glogirly asked if Dorothy had been there when she was born. It was Dorothy that called a friend in social services. Dorothy had a friend that worked in social services. Not knowing where else to turn, she called her. July, 19, 1963. Santa Barbara Cottage Hospital. Glogirly asked if Dorothy had been there when she was born. No, but her mother was. This was all still very hard for Dorothy to talk about. Glogirly asked it Alice had held her. Did she name her? She told Glogirly that her mother had told Alice not to look. That was all she could manage to say. Glogirly could see the heartache on Dorothy's face. She knew there would be other times to talk about those details. She wanted to get to know Alice and Dorothy. She wanted to hear stories about growing up. They sat at the kitchen table until late into the night, laughing and talking like sisters, like a mother and daughter. 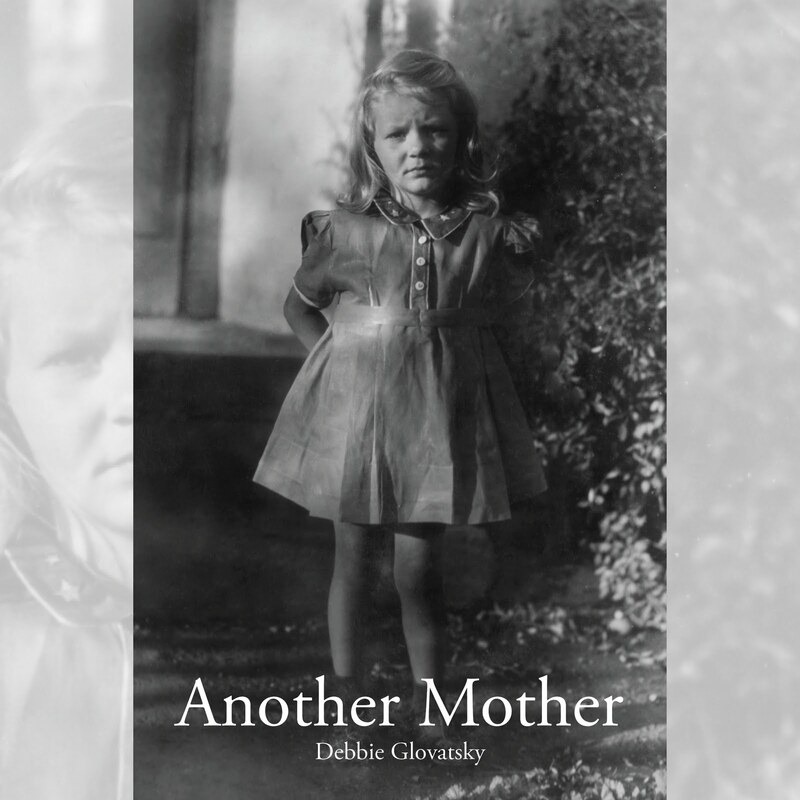 Glogirly was beginning to realize that although she was too late in finding her birthmother, she had found something she never expected. Dorothy had loved Alice and her nameless baby like a mother loves their own child. Glogirly was discovering another mother. This is such a bootiful story. I'm getting the feeling it might turn into one of those "happily every after" stories. I do hope it has a good ending. We think it will turn into a "happily ever after"! We are loving each installment and can't wait until the next one. Mom is really enjoying reading your story. It is sad that dear Alice never knew how wonderfully life had turned out for the baby she had to give up. But at least Glogirly found her siblings. How heartbreaking that they told Alice not to look. But maybe that made it easier. Thanks for sharing your wonderful story. My own mother was pregnant at 17 with my brother, and I think how tough it must have been for those girls at that time. Luckily my father fought to stay with her, he had to get a court order so they could get married, and had no support from any family members. Sounds like you have a lovely family, and we think it must be healing to find out where you came from. What a great gift you were given. So glad you found your birth family and so much information!